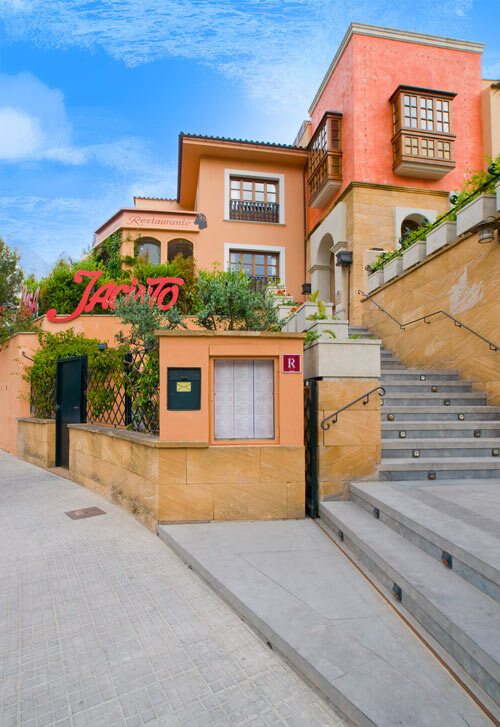 Restaurante Casa Jacinto was founded in 1982 by Jacinto Esteban and Marcela Merlo in Génova, one of the most peaceful locations in Palma. “Catering is a sector to which I have always been closely connected since my youth. A member of my family, my uncle Gonzalo, ran a restaurant in this very area. He gave me my first opportunity and I learned a lot from him. Several years later, my interest in creativity led me to open my own restaurant with my wife”. For more than 35 years as masters of the grill, we have innovated and offered select meats, which are the core of our menu, along with a selection of different kinds of fish and seafood. The restaurant is also well-known for Majorcan and Spanish cuisine. “I remember the difficult beginnings, in a time when the infrastructure needed to acquire the raw material was so complex that we had to struggle until we found suppliers. For example, acorn-fed iberian ham from Extremadura and Salamanca (Guijuelo). The same was true for beef meat.”. For the first 23 years, Casa Jacinto was found in a small premises in the centre of Génova; however, for several reasons, we said goodbye with nostalgia and moved to a bigger and more comfortable establishment. After this long path, we can only say thank you for the trust our customers, our team and our family has placed in us.